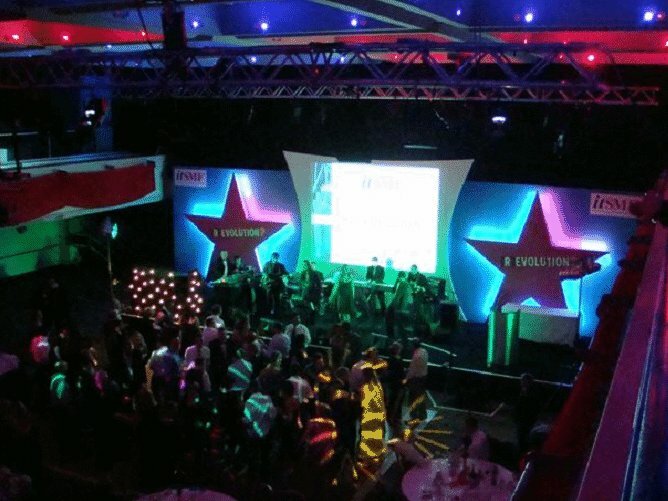 Staging Hire UK is part of Corporate Events UK Ltd and as such can offer you and your business the very best in staging systems and stage hire London, the UK and across Europe. All of our Conference Stage Packages are supplied and fitted taking all the hassle away from you leaving you the time to do what you should be doing rather than worrying about event companies turning up and of course we work all night and day to fit into each client's particular schedule. Stage Systems for conferences, Exhibitions and Events are available in many different shapes, sizes and styles. from the very basic as is a standard plain stage deck, to a fully carpeted stage of your colour choice even to match the stage set which we can also prepare and build to your colour choice, to our pearl decks which are white to look at but do allow coloured light through them and of course while using the latest led lighting systems there are literally millions of colours available to choose from and finally we offer the night fever style stage which is normally built into the main stage set. This floor can do a lot more than our pearl decks creating some spectacular lighting effects and special lit areas for a speaker or various different presentations to take place from. Conference Stage Packages below is a list of some of our more popular options Conference Stage and Set Packages. All prices include the erection and dismantle again of the package. 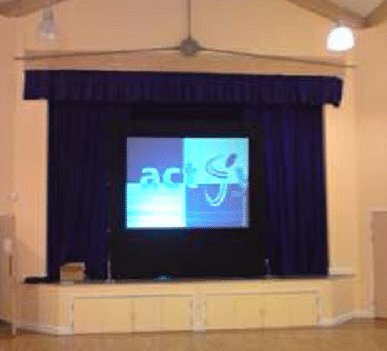 Stage Set One: Consists of 4m x 2m x 400mm high carpeted stage, 24' wide back drop, £400.00. Stage Set Two: Consists of 4m x 2m x 400mm high carpeted stage, complete 24' wide stage set with 8'x6' Projection Screen, £500.00. Stage Set Three: Consists of 6m x 2m x 400mm high carpeted stage, complete 32' wide stage set with 8'x6' Projection Screen, £540.00. Stage Set Four: Consists of 6m x 2m x 400mm high carpeted stage, complete 32' wide stage set with 10'x7' Projection Screen, £600.00. Stage Set Five: Consists of 6m x 3m x 400mm high carpeted stage, complete 36' wide stage set with 2 x 8'x6' Projection Screens, £700.00. Stage Set Six: Consists of 8m x 3m x 400mm high carpeted stage, complete 40' wide stage set with 2 x 8'x6' Projection Screens, £820.00. Stage Set Seven: Consists of 8m x 3m x 400mm high carpeted stage, complete 40' wide stage set with 2 x 8'x6' Projection Screens, 1x 12x8 Screen, £1100.00. Please be advised that the above stage set packages do not include projectors. If you can not see the stage size that you require stages are priced at �15 per square metre, use this as a rough guide or call one of our team for further assistance and larger package discounts. All the above prices are subject to vat and maybe transport charges. Contact us today to make a booking or for further information.